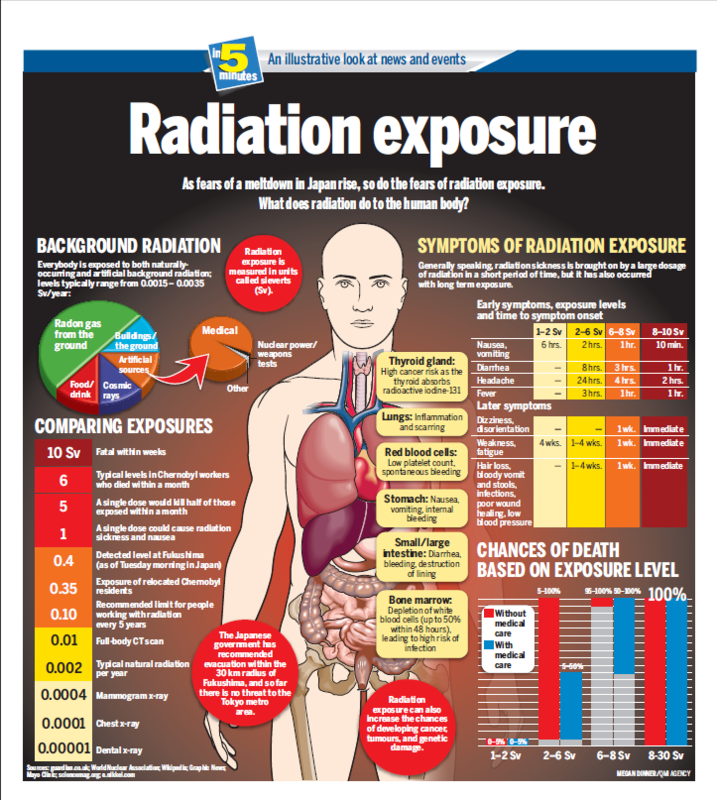 This entry was posted in Year Zero Survival Blog and tagged background radiation, exposure to radiation, info-graphic, infographic, iodine tablets for radiation, Nuclear and Radiological hazards), rad, radiation, radiation survival, symptoms of radiation exposure by staff-writer. Bookmark the permalink. Gotta glow see you later.